We are making a positive difference in the lives of youth by developing and implementing a wide range of mentoring programs. Serving as role models, our mentors teach by example the importance of giving and giving back, of staying in school, and of having respect for family, peers, and community. We make a difference by providing professional, trained staff to carefully screen volunteers and match them in long-term, safe mentoring relationships, while providing necessary ongoing management and support for the volunteers, children, and families all free of charge. In 2017 we paired over 500 children in active mentoring relationships, which was a 30% increase from the year before. Every Child in Lethbridge and District Who Needs a Mentor, Has a Mentor. 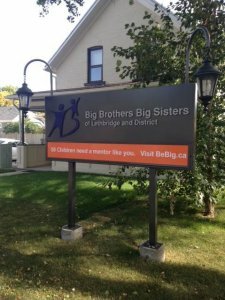 We commit to the children and youth of Lethbridge and District, that we will be leaders in providing them with the highest quality, volunteer based mentoring programs.